NASA's Keplar probe has discovered a white dwarf star tearing apart a rocky planet in what could be a preview of Earth's fate. 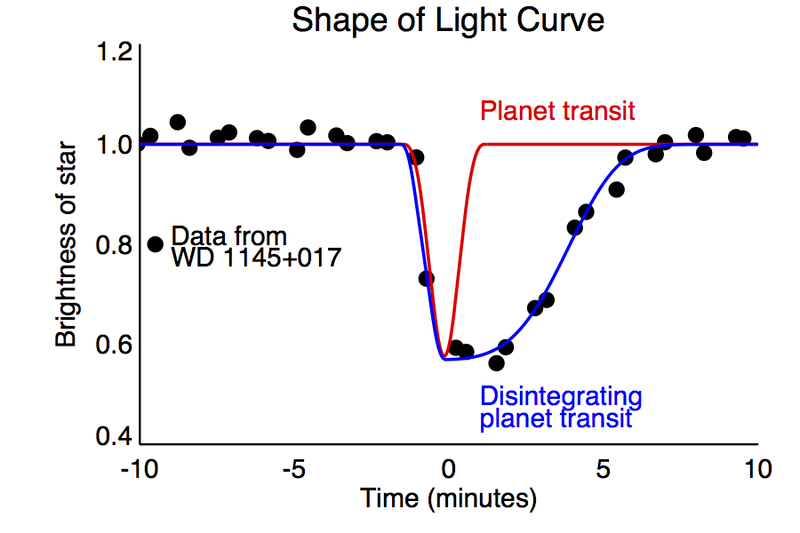 In much the same way the Death Star destroyed Alderaan in Star Wars (OK, minus the superlaser), NASA's Keplar probe has found a similar star causing the death of a planet in a system far, far away. 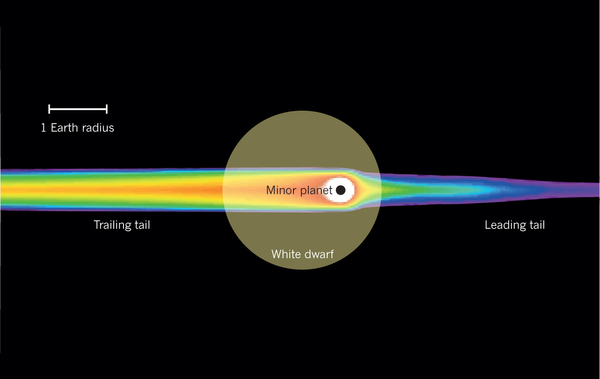 A white dwarf forms when a relatively low-mass star, such as the Sun, runs out of fuel. After first expanding into a red giant and engulfing the inner planets (which in the Solar System could include Earth), the star sheds its outer layers to leave a small and very dense core. Heavy elements are pulled towards the center of the dead star under its strong gravity. 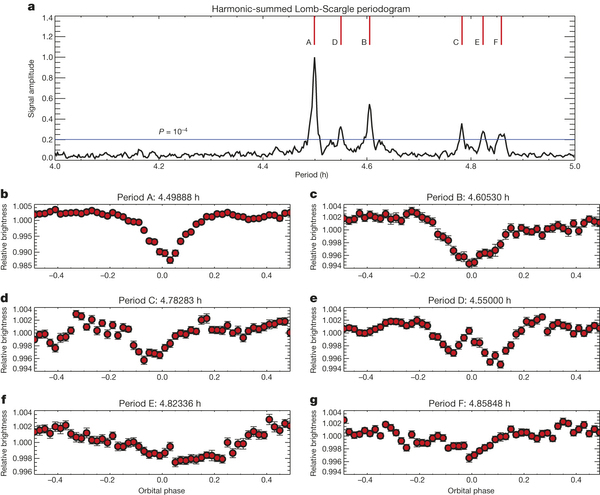 What made this find so interesting was that there were irregularities in the flickers of light, meaning that scientists were observing long streaks of debris trailing behind the orbiting body. 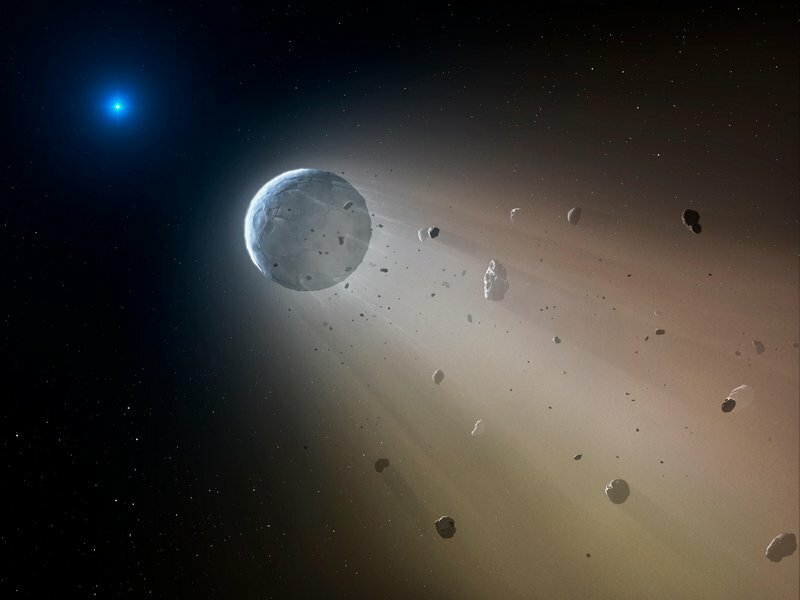 "The white dwarf was ripping it apart by its extreme gravity and turning it into dust," Andrew Vanderburg, a graduate student at the Harvard-Smithsonian Center for Astrophysics, told The Smithsonian. Scientists speculate that the massive gravity pull would start to destroy orbits of surrounding planets and asteroids, sending them careening into each one another. Other bodies would just be pulled apart. In the case of WD 1145+017, scientists speculate that as many as six bodies are orbiting the star, each with their own distinctive dust trail. Further tests indicate that , instead of just the hydrogen and helium that should be in the white dwarf, there are also indications of calcium, iron and aluminium, which are likely being pulled into the star from the shattered orbital debris. "I cannot overstate how cool this result is," said John Debes, an astronomer at the Space Telescope Science Institute in Baltimore, Maryland. 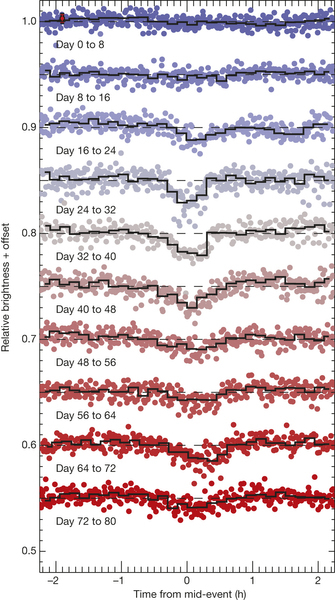 "For a long time, we've had a good hypothesis about how white dwarfs get dusty, but to directly observe planetesimals (rocky objects the size of dwarf planets or smaller) evaporating before our eyes is very exciting." If you are into analyzing highly scientific graphics about light, check out the gallery. So if the Earth survives the Red Giant phase of our sun's demise, it will likely be pulled apart and vaporized - millions of years from now.